Sorry for the missing image. I had a busy day yesterday and simply forgot posting the IOTD. Lazy me, this means two for today, here comes the first one. 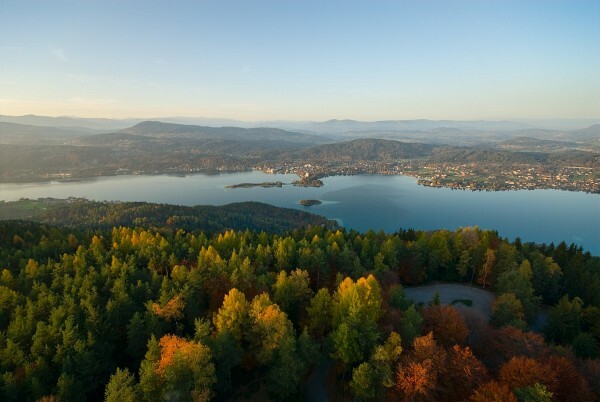 This is Wörthersee in Carinthia, probably our most beautiful lake, as seen from the tower atop Pyramidenkogel (which means “pyramid hill”, named for its form). I was there for sundown, but they close the tower only 5 minutes into civil twilight. I guess it is not administered by a photographer. Never mind, sundown was disappointing anyway.